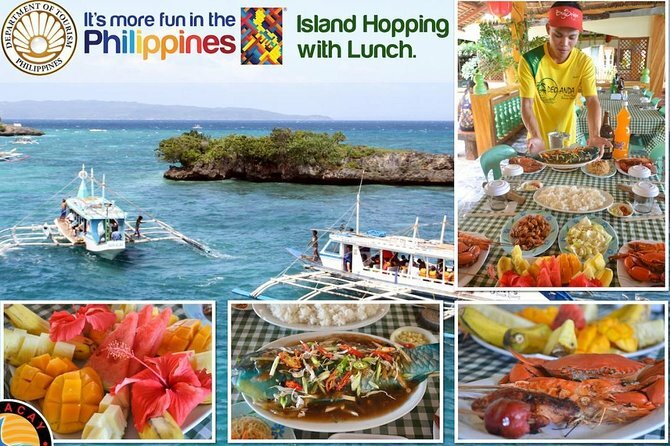 Island hopping is the most popular activity to do in Boracay! Cruise off the shores of Boracay in a local Bangka boat checking out beaches, snorkeling or just enjoy the beautiful sites around the Islands for 4 hrs. Private Tour is limited to a maximum of 15 travelers. Meet up with the staffs of Boracay Adventures Travel & Tours and proceed to Station 1 or 3 to board the boat for Island Hopping. Departure Time: Pick up time at 9:00 AM Hotel pickup commence prior to this time, you must contact the local service provider to verify your exact pickup time. Private Boat for 4 hrs. In the event of dangerous weather conditions like a typhoon, Severe Storms, etc. the trip could be canceled. you will be informed of the cancellation and refunds will be provided.